AYPO Tech is the IBOL approved provider of quality continuing education courses for water operators looking to renew their licenses with the state of Idaho. We provide courses of study covering everything from water treatment topics like surface water treatment and filtration to water distribution topics like pumps and pipelines. 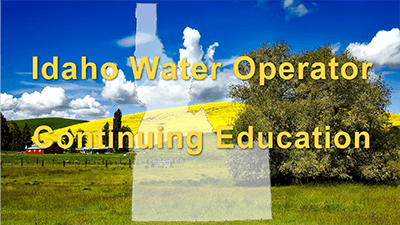 What are the continuing education requirements for an Idaho water operator license? Complete 0.6 CEU's (6 Contact Hours) of approved continuing education annually. Keep documentation showing the completion of your CE on file in case of random audit. Our online courses listed below are all approved by the Idaho Bureau of Occupational Licenses to help you meet your continuing education needs and renew your operator license. Your official certificate of completion proving you completed an approved online course will be available to you immediately upon completion. Save on our 0.6 CEU (6 Hour) Treatment Package. 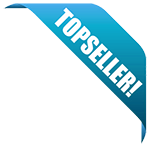 Includes: Surface Water Treatment Plant Operations (ID: WWP15026292) and Corrosion Control (ID: WWP15026297). Save on our 0.6 CEU (6 Hour) Distribution Package. Includes: Meters, Valves and Hydrants (ID: WWP18038759) and Pipelines (ID: WWP18038758). Our Groundwater Wells course is designed to introduce and cover the basic components and operation of groundwater wells along with the fundamentals of maintaining safe drinking water from this type of water source. The Continuing Education Committee for the Idaho Board of Drinking Water and Wastewater Professionals has reviewed your request for approval of the enclosed courses. The enclosed courses have been approved for continuing education credits. If you have any questions, please contact me at wwp@ibol.idaho.gov or by calling .